Jaime Parodi Bardón wanted to pursue a full-time MBA which would help him set up his own business. When considering business schools in Europe, The Lisbon MBA International – the result of a partnership between Portugal’s triple-accredited Católica-Lisbon and Nova SBE, and US b-school titan MIT Sloan – really stood out. 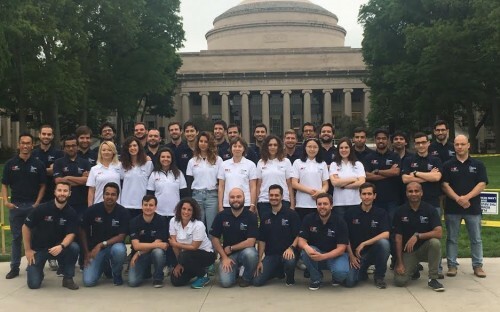 For four weeks in June, The Lisbon MBA students experience MBA life at the world’s leading technology university, with full access to MIT professors, classes, and facilities. At MIT Sloan, students study hot topics like global markets, tech innovation, and entrepreneurship. At MIT Sloan, Jaime came up with the idea for Viable Report, an online platform connecting early-stage startups with investors. He graduated from the Lisbon MBA in 2015. Now, he’s working with 30 private investors and over 500 startups. “The first idea came in Boston, just by looking at different aspects of entrepreneurship and startups there. Then I used the entrepreneurship course during the MBA to establish the business plan,” Jaime continues. The Lisbon MBA International Full Time program is ranked among the 20 best full-time MBAs in Europe, and first in Europe for international experience, by the Financial Times. The MIT immersion has been part of the program since its inception 9 years ago. Europe-based MBAs get to experience the lives of full-time MBA students in the US without the high tuition fees or the two years out of work. The Lisbon MBA grads are entitled to affiliate status in the MIT Sloan alumni association. They’re featured in the MIT Sloan alumni directory, meaning access to an international network of potential business partners, investors, and employers. “When students go to the US they have the chance to experience MIT as students from Sloan would,” explains David Patient, the Lisbon MBA program director. “They have an MIT email address; they can participate in forums and gatherings. Just being a member of the MIT community can be very valuable. “Unlike exchange programs where some students go and spend time abroad, our four-week immersion involves the entire MBA class. We send 40 people there – it’s the biggest immersion that MIT hosts,” he continues. David experienced the immersion for himself back in 2011, enjoying a company visit to Google. In recent years, he’s seen the career aspirations of MBA students change. Now, he estimates that, like Jaime, around a quarter of The Lisbon MBA grads go on to start their own businesses. “Lisbon has become a hub for startups – it’s considered one of the most entrepreneurial cities in Europe,” he says. “We also try to leverage MIT’s strengths in entrepreneurship and innovation. Students have the opportunity to explore the local entrepreneurial environment, visit startups, and learn from some of the world’s best entrepreneurs.